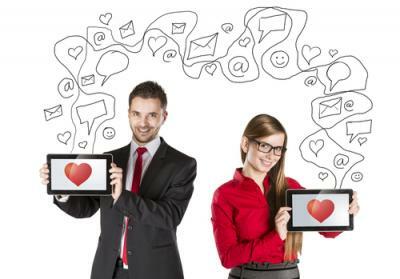 Since the launch of Match.com in 1995, online dating has not only shed its stigma, but has become a commonplace method of finding a partner. Not everyone is interested in the time commitment that finding the right match through online dating sites can involve, however. Perhaps that is why Ren You, a 29Y old recent Harvard graduate who typically works 12 hour days or more for private equity firm, decided to offer $10K to anyone who could find him a girlfriend for at least six months. To facilitate his search, he created DateRen.com, a website where people can nominate women they believe would be good girlfriend candidates for him. Women who nominate themselves are ineligible for the reward. After news broke of this unique dating approach, his website received more than 400 submissions - many from women nominating themselves, regardless of their ineligibility for the reward. It appears they liked the directness of the approach. This specifically targeted dating effort by a lonely finance professional made us think about the unique ways the banking industry has begun using mobile technology to marry up with customers. A small group of banks have begun to experiment with geolocation services and applications, which use the GPS chips found within smart phones to determine a mobile user's exact location. These new applications have opened the doorway for an entirely new form of marketing catered to an individual's location. Capital One is currently testing a geolocation application that will text a retail offer to a user's phone whenever they are in the vicinity of that particular retailer, while Wells Fargo is exploring ways to use the same technology by identifying specific customers who walk into their branches so that all employees can automatically greet them by name. It is not just the major banks that are exploring geolocation services. Roughly a dozen small and midsized banks have begun experimenting with the location-based software applications of firms like Larky (a startup fintech company), that has designed the app specifically to smaller banks and credit unions. For community banks, geolocation applications can serve a dual role by providing a new vehicle for individual banks to keep their own brand on consumers' minds, while at the same time allowing them to provide other community businesses with a whole new form of support. For example, if a small clothing store is offering a special 25% discount on coats, any customer of the bank who has signed up for its geolocation offering would be alerted with a message about that specific discount any time they are near the clothing store. The alert would include the bank's own brand. The ability to provide customers with real-time offers is not only a good way for banks to appeal to younger customers who love their smartphones, it is something that has the potential to be equally appealing to all generations interested in discounts relevant to their daily lives. Besides that, offering unique services that help businesses market themselves allows banks to support existing customers and lure in new ones. Beyond marketing, geolocation services open the doorway for an additional level of security. This occurs by providing the ability to confirm that purchases made with a bank card are being made by the owner. This is done by confirming that the person's cell phone is in the same location as their card, an idea already being explored by MasterCard. Like offering a reward to help a busy professional find a date, geolocation is likely to increase the odds for achieving the outcome your bank wants - greater security, happy customers and a growing business. Treasury yields rose around 4bps, even though the ADP measure of private sector employment for July was weak. Reports on jobless claims and consumer comfort, but everyone awaits Friday's employment report. Regulatory reports indicate examiners are looking closely at interest rate risk, as bankers have increased maturities in loans and securities over prior years. This duration extension could lead to increased unrealized losses (and negatively impact capital ratios) when rates rise. In addition, regulators are concerned about banker reliance on non-maturity deposits (vulnerable to shifting consumer behavior when rates climb). Finally, be aware regulators are looking more closely at variable rate loans that could be vulnerable to rising debt service burdens when interest rates increase, at the same time commercial real estate capitalization rates increase and property values could possibly decline. The BEA continues to review the calculation of GDP after reporting an odd 2.1% decline in Q1. The BEA says after looking closer at the data and fixing anomalies, Q1 growth should actually have been only minus 0.9%. Steps to fix the calculation to better adjust for seasonally impactful federal defense spending and inflation so far have been cited as issues and corrected. More revisions are likely as the BEA expands its review. Pew Research finds the share of young adults (millennials) living with their parents has climbed from 24% in 2010 to 26% as of Q1 2015. A survey by the National Small Business Association finds more than 50% of small business owners expect the economy to be flat in the next 12 months vs. 28% who expect it will grow (and 19% who think it will decline). Overall, 70% said they remained confident about the future of their business. A survey by Deloitte assessing global risk management practices in the financial services industry finds 67% of respondents felt their institution was extremely or very effective in managing the more traditional types of operational risks, such as legal (70%), regulatory/compliance (67%) and tax (66%). Meanwhile, far fewer felt their institution was extremely or very effective when it came to handling such risks as third party (44%), cybersecurity (42%), data integrity (40%) and model (37%). A Bank Director survey of bank executives and board members on risk finds more than 33% of respondents indicate their bank does not have a full time chief information security officer despite the risks around cyber security.